That little bench is usually where I leave Truman’s bowl, but GDA dogs have to be accustomed to eating from a bowl on the ground. 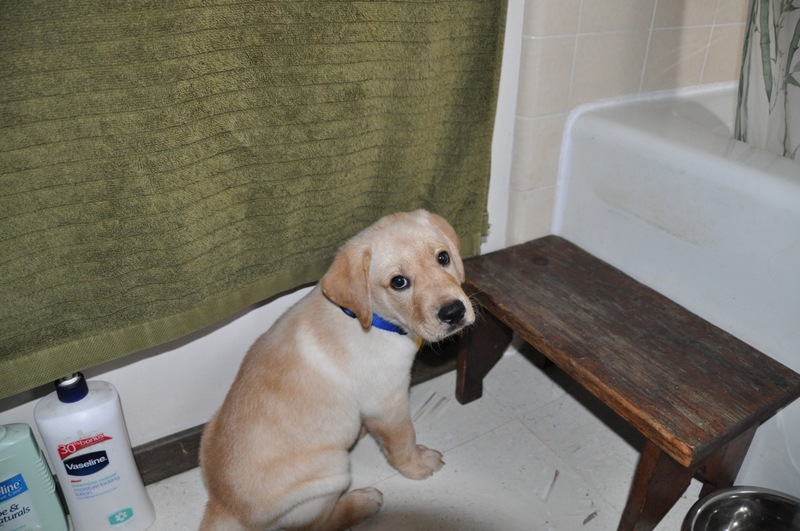 Moments after this photo was taken, the boy tried to climb onto the bench and into the bathtub. He doesn’t look particularly mischievous, does he? Looks kinda sadsack, to be honest. Don’t let him fool you.